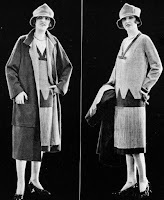 Studying fashion in 1919-1920 for my novella, Resurrection of Hope, was difficult because fashion changed so much in the couple of years leading up to the roaring twenties. Only ten years earlier, women had to contend with bustles and corsets. 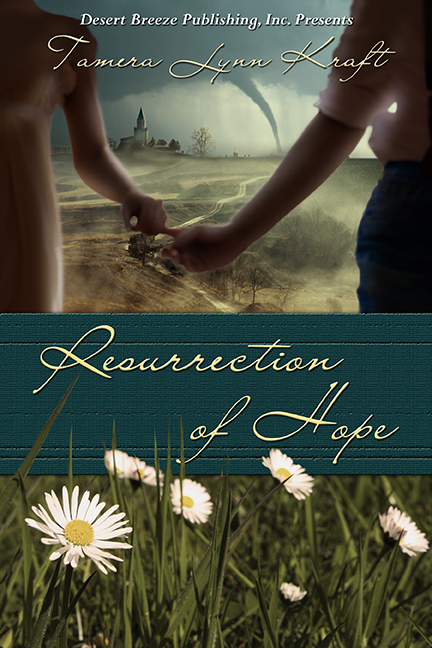 Hobble skirts were gathered close around the ankles made walking difficult. By the 1915, shirts became full and were just above the ankles. The bustles and corsets that had cursed women for decades were being thrown out. In 1918, straight line dresses were becoming popular, and skirts were actually a few inches above the ankle. The flapper style we know from the roaring 20s was starting to make its appearance. In 1918, the flapper era started showing up in the cities first. Most women were conservative and wore their skirts a few inches below their knees which was scandalous five years earlier. By 1922, skirts were worn to the knee even in rural areas. 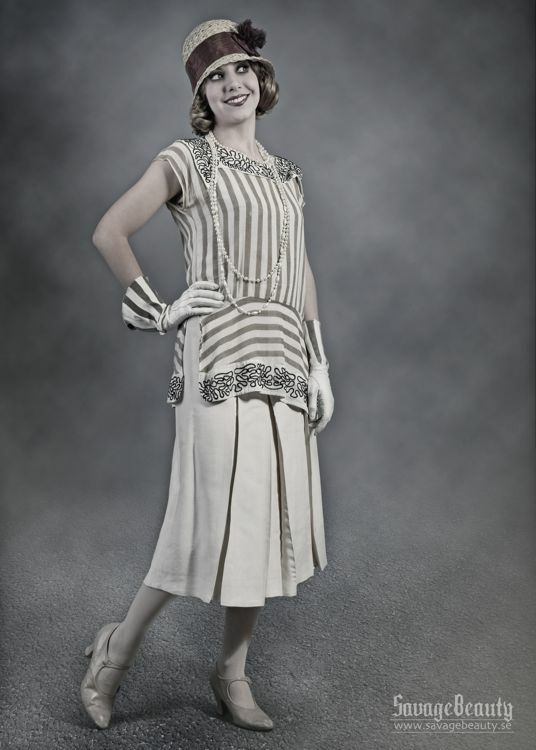 The shift or chemise dress with the lowered waistline became popular in 1916 and continued throughout the 1920s. Tailored suits became popular among working women. Most dresses were sleeveless, and women wore sweaters over them on cold days. Jewelry to accessorize the new look became important, and women wore long beaded and pearl necklaces looped around the neck and large bracelets. In the winter, women finished the look with long fur coats. During World War I, many women had to work outside the home. They started to wear bobbed hair styles because they were easier to take care of. By 1920, the style took off and most women bobbed their hair even in more rural areas and conservative areas of the country. Cloche hats that fit tight around the face were becoming popular and went with the new short hair styles. movie actresses. In 1917, Theda Bara started a trend by wearing heavy eye makeup in the movie Cleopatra. Women in the city started wearing make-up to look like the actresses on the silent movie screen. It was a few more years before the average farmwife would be seen in public wearing makeup. The biggest change was ladies’ undergarments. Although the corsets didn’t disappear completely, one piece camisoles and slips became the desired undergarments. Because of shorter hemlines, silk hosiery was invented in 1920. It became the fashion for years after that. Bras didn’t come out until 1922, so most women either wore modified corsets or only wore camisoles. Never again would the restrictive clothing of the 1800s limit women. And just look at what some women wear today, or rather barely wear. I like the roaring twenties dresses and hats, they were cute. I like the roaring twenties style too. I'm not a fan of some of the things they wear today. 1940s is my all time favorite. The older styles were so much more modest than the current styles. I like the older styles and it's amazing how some of the styles resurface at times. Thank you for sharing the pictures and interesting post. I have an old pattern for a dress with the lowered waistline.